The jaguar (Panthera onca) is a big cat, a feline in the Panthera genus, and is the only Panthera species found in the Americas. The jaguar is the third-largest feline after the tiger and the lion, and the largest in the Western Hemisphere. The jaguar's present range extends from Southern United States and Mexico across much of Central America and south to Paraguay and northern Argentina. While the jaguar closely resembles the leopard, it is generally sturdier and heavier, and the two animals can be distinguished by their rosettes: the rosettes on a jaguar's coat are larger, fewer in number, usually darker, and have thicker lines and small spots in the middle that the leopard lacks. Jaguars also have rounder heads and shorter, stockier limbs compared to leopards. Legs are also short, but thick and powerful, considerably shorter when compared to a small tiger or lion in a similar weight range. The jaguar stands 63 to 76 cm (25 to 30 in) tall at the shoulders. Weights of jaguars are normally in the range of 56–96 kg (123–212 lb). 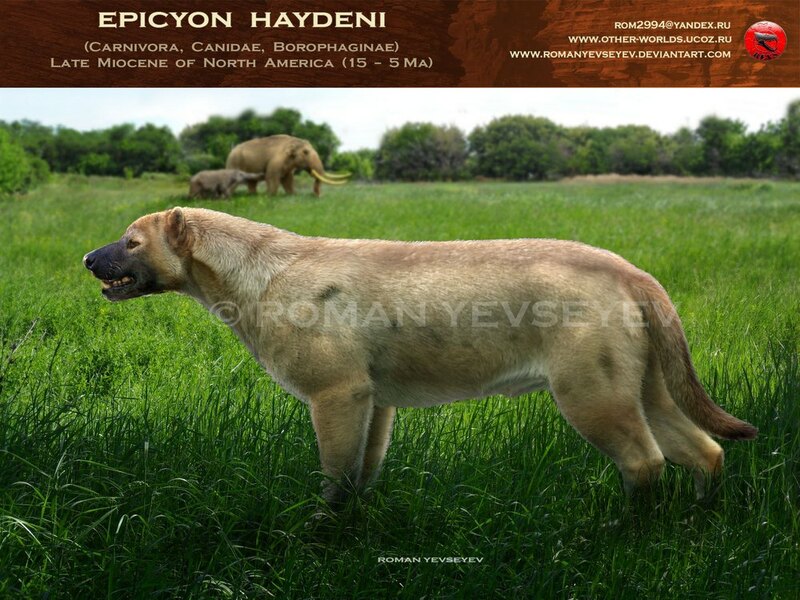 Epicyon ("near dog") is a large extinct canid genus of the subfamily Borophaginae ("bone-crushing dogs"), native to North America. It lived from the Hemingfordian age of the Early Miocene to the Hemphillian of the Late Miocene (20.6—5.330 Mya. Epicyon existed for about 15.5 million years. Epicyon was about 1.5 m (5 ft) long, and is estimated to have had a weight of 91–136 kg (200–300 lb). Epicyon had a massive head and powerful jaws, giving its skull a lion-like shape rather than having a skull similar in shape to that of a wolf. It is one of, if not the largest known genus of canid. 91-136 kg epicyon vs up to 129 kg prehistoric jaguar. No need for an extinct subspecies of Jaguar. If we take normal weight ranges this match up is a Jaguar of 56–96 kg (123–212 lb) v an Epicyon of 91–136 kg (200–300 lb). Epicyon's low average equal to Jaguar's high average. Epicyon was smaller than previously thought. This is a mismatch. It wouldn't be a mismatch if it were a pantanal jaguar, since the dog would have 25kg size advantage. Which is significant but it isn't enough to declare it the absolute winner. Edit: I also forgot to mention, while these canines could grapple at a better extent than cursorial predators of today such a wolves and hyenas, it's grappling wasn't in par with a big cat or ursid. Quote: Also they had blunt non-retractable claws and their short hands were described as "not as closely appressed as in C. lupus and Crocuta, although not as divergent as those in felids" not to mention that most of the talk on great freedom of movement of the forelimb applies to Borophagus not Epicyon. Quote: Munthe (1989) is pretty much the source of this but she never talks so greatly of their grappling ability.Comparisons between the forelimbs of borophagines and the extant carnivores discussed above show that, while possessing some modifications for cursorial locomotion, the borophagine forelimb, and particularly the antebrachium, was capable of a greater range of movement than is possible in living canids and hyaenids. It's versatility, however, was probably not as great as in felids. There's no evidence that this is the case, from a sample of 7 E. haydeni skulls, their average greatest skull length was 304mm. Plus despite the canine being relatively larger, we don't know how robust their limbs are in comparison to those of a jaguar. Another thing that should be taken into account should be the killing method in which the jaguar would finish off the canid with a skull or throat bite unlike the dog who would attempt to maul the cat. this massive dog without claw, dont stay so long against jaguar. (02-13-2019, 03:21 AM)Aztec Wrote: It wouldn't be a mismatch if it were a pantanal jaguar, since the dog would have 25kg size advantage. (02-13-2019, 12:37 AM)Old Tibetan Blue Bear Wrote: The emphicyon wins easily. That was my mistake as I confused the emphicyon with amohicyon. The jaguar has a good chance to win in this case. (02-13-2019, 10:24 AM)Old Tibetan Blue Bear Wrote: That was my mistake as I confused the emphicyon with amohicyon. The jaguar has a good chance to win in this case. Quote: The size of Epicyon haydeni is often exaggerated, a common figure you find on the internet is that large specimens weighted 170kg (375lbs), it comes from Sorkin (2008) and is a simple isometric scaling based on the largest E haydeni humerus and the humerus and weight of spotted hyena taken from the literature but, how accurate it really is? To put its size in perspective we can compare the length of its skull, according to Munthe (1989), the average for the sample from the Port of Entry Pit (n=7) is 304mm, one centimeter longer than the skull of the dire wolf from Rancho La Brea, the "60kg" population. Munthe (1989) also provides limb measurements, which we can use to estimate body mass. Measurements of Epicyon haydeni humeri. The smallest humerus comes from Port of Entry Pit while the larger two come from the Jack Swayze quarry, this quarry only turned up big specimens, averaging 15% larger than the those from Port of Entry Pit and other localities based on dental measurements but comparable to the larger specimens of those same localities (Baskin, 1998), whatever the two larger humeri represent average or large individuals in the context of that specific locality I don't know but they definitely are the largest Epicyon humeri known. Siberian Tiger and bigger prehistoric cats than it have a chance. So from I gather right now, the epicyon doesn't have a size advantage, is not as good at grappling and its not known for certain if its more robust than the jaguar? amphicyon is 600 kg i think? is there any felidae reached 600 kg? i am felidae lover but i didnt find any felidae reached more the 500 kg. No need to be 600 kg. Already 400-500 kg felids have a chance. ^And Siberian tigers reach 400-500kg? Get your fantasies straight. Epicyon wins against all but Pantanal populations. 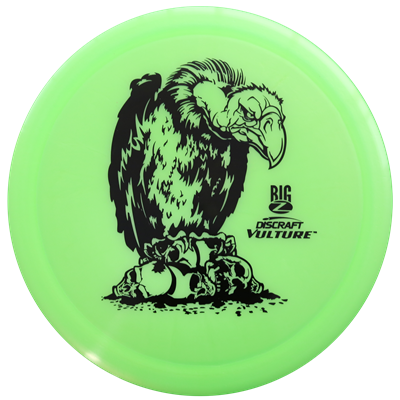 Too big, stronger bite, decent enough grappling to keep up, size advantage of 25kg. (02-14-2019, 08:41 AM)Kazanshin Wrote: ^And Siberian tigers reach 400-500kg? Get your fantasies straight. It was mentioned that blazze gave three weight estimates which are 97kg, 91kg and 44kg. Quote: Across their range, jaguars exhibit up to 100% variation in body mass (Sunquist and Sunquist, 2002) and this is likely to impact their hunting decisions, with the smallest forms being more similar to leopards in the size of their prey. For example, Hoogesteijn and Mondolfi (1996) found that floodplain jaguars were significantly larger [body mass: Llanos = 104.5 kg (males), 66.9 kg (females) and Pantanal = 99.5 kg (males), 76.7 kg (females)] than forest jaguars [body mass: Amazon = 83.6 kg (males), no data for females and Central American = 56.1 kg (males), 41.4 kg (females)]. This variability was also reflected in the diet of the populations, with the forest jaguars having a significantly lower mean weight of vertebrate prey at 5.8 kg, compared to 89 kg (including livestock) for floodplain jaguars (Hoogesteijn and Mondolfi, 1996). I am not really sure if the canid would have much of a size advantage, and the other advantages are questionable.